Smoking has almost entirely been eradicated from DEN airport with only one smoking lounge from 4 remaining. 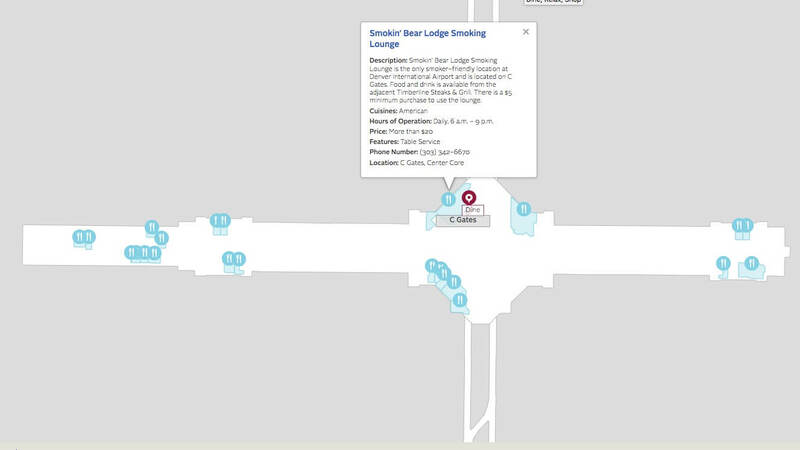 The Smokin’ Bear Lodge Smoking Lounge is open from 6am to 9pm daily at the C gates Center Core. There is a minimum $5 purchase to be able to use the lounge. Travelers can also smoke outside Jeppesen Terminal, but cannot exit to the outside from A, B, or C gates.